Anew Communications Technology, Inc. (Anew C.T. 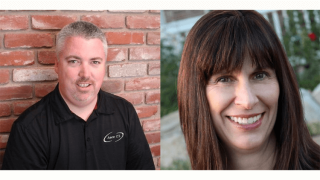 ), an independent manufacturer representative firm covering the Western U.S. for InfoComm, CEDIA, and NAMM manufacturers, has appointed Renee Gordon as vice president of operations, and Art Foxall as vice president of sales. Gordon will have oversight of the tactical operations of the company and be the primary executor of internal policies, HR, and procedures for Anew C.T. In his role, Foxall will be responsible for all channel sales for the three vertical markets. He will also continue to develop strategic customer accounts and partner relationships that are foundational for Anew C.T.’s core business objectives. Foxall brings a broad range of sale and marketing experience to his new position, including executive sales and business development roles with manufacturing and marketing firms. Previously, he held the position of sales director and regional sales director for Anew C.T.